Picture tackling Pennsylvania's roads in a stylish and versatile 2016 Honda Pilot; freshly redesigned for the new year, this sleek SUV is at the top of its game with an all-new look and a healthy dose of futuristic. If you're looking for a midsize SUV that can tackle it all, then visit Vann York Honda in High Point, NC. As one of the state's top-ranked dealerships, we proudly serve High Point, NC with a large collection of Hondas in stock. For a capable midsize SUV to use on a regular basis, explore the 2016 Honda Pilot. Visit Vann York Honda at 422 Eastchester Drive and explore the new Pilot today. If you've been searching for a midsize SUV that has all of the latest technology features, a comfortable interior and elegant exterior styling, then the 2016 Honda Pilot is the vehicle for you. For an amazing price on a Honda, visit Vann York Honda in High Point, NC. We're proud to be one of the state's top-ranked Honda dealerships and will provide you with a first-class experience. 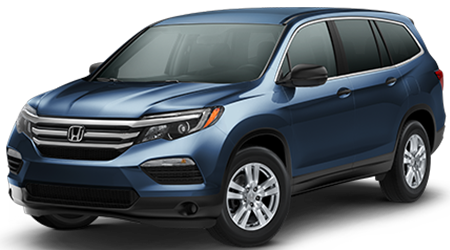 Stop by our dealership at 422 Eastchester Drive and test drive the Pilot today.